Is Duck Donuts Right For You? 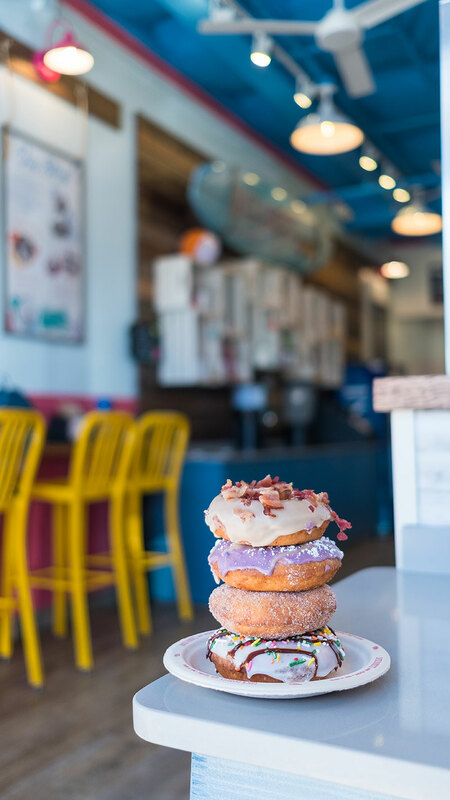 Duck Donuts prides itself on providing its customers warm, delicious and made-to-order donuts in a unique in-store experience. We are seeking experienced franchisees who share our vision and commitment of offering a welcoming, family-friendly and delicious experience as we continue our growth throughout the United States. We have had tremendous success and built a great following over the past ten years. We are very thankful and excited to now be able to offer others the opportunity to open Duck Donuts around the country. There are now 80 open franchise locations and more than 145 additional contracts in 26 states and two countries. Real Estate Team - Provides assistance in securing and negotiating all lease or sale terms for your store. Operations/Training Team - Provides in-depth training and operations instruction. Marketing Team - Assists with all facets of marketing your location. Interested in owning a Duck Donuts store? Apply - Complete and submit the online application. Your application will be reviewed to determine if you and your proposed market meet our qualifications, and then a phone interview will be scheduled. Phone Interviews - Upon satisfactory completion of the phone interview, we will provide you with a Franchise Disclosure Document (FDD) and schedule a second phone interview. Upon satisfactory completion of the second phone interview, an in-person interview will be scheduled at our corporate office in Mechanicsburg, Pennsylvania. In-Person Interview - Prior to the in-person interview, we will complete background and credit/financial checks. Upon satisfactory completion of the in-person interview, the application will be finalized. Real Estate - The Duck Donuts Real Estate Team will help you secure and negotiate lease terms. Conceptual drawings for the store will be completed and construction will begin. Training - Classroom and in-store training will begin at our corporate office and the Duck Donuts store located in Mechanicsburg, PA. We will assist with pre-opening training for your team. Marketing - The Marketing Team will provide marketing and public relations support and guidance. Grand Opening - Your Duck Donuts will open for business!